The long awaited meeting of the East African Community Heads of State took place on 20 May. It particularly led to the support for the position taken by Burundi against the EU. Bujumbura was seething since the announcement of the summit of Heads of State of the East African Community. Each one speculated on the outcome of this meeting. Individuals had different expectations. Some were demanding embargo to weaken the regime in place. The government was prepared to defend itself. In the end, the statements that were released surprised everyone. The government delegation came out triumphant as it returned to Bujumbura with a lot of support from the sub-region, while the opposition was disappointed and could hardly take it. The European Union was disappointed as it was accused of being the oppressor of Burundi by the chairman of the Community and Mediator in the Burundian crisis at the same time, Yoweri Museveni. “Burundi issue is ours and we must solve it ourselves.”. We have a concern with the European Union. You take unilateral sanctions against Burundi when it is one of our members. “He began before continuing virulently. “It’s the same with South Sudan. Recently, there have been discussions about probable sanctions within the UN, but why these arrogant manners? … “He also pleaded for the lifting of sanctions that the European Union has taken against Burundi. “Please, Burundi is one of our members, and we want it to sign the trade partnership. However, it cannot sign it while it is under sanctions and without consultations. Addressing the European Union, the Ugandan president reminded: “Please, Burundi is our member and no action should be taken against it without our input. Our house is our house”. Speaking also to the European Union, Tanzanian President Magufuli said he was ready to collaborate with the European Union on condition that it lifts its sanctions against the neighboring country. “For the future, we are open to discussion for the Economic Partnership Agreement (EPA). We should sit together with our European colleagues and see if we can solve these little things that push us not to sign like the lifting of the embargo on Burundi. “He reassured them that they will agree to sign this commercial partnership once the embargo is lifted. However, that appeal was immediately rejected by the EU. The EU Ambassador to Tanzania and EAC, Roeland Van de Geer, said at the end of the summit that the sanctions would be maintained as long as the situation in Burundi does not change. The European Union, whose aid accounted for 20% of Burundi’s budget, decided to suspend its direct aid to the country in March 2016. Burundi is called upon to honor its commitments under the Cotonou Agreement. The agreement was signed by African states, including Burundi on the one hand, and the European Union on the other hand. It stipulates in Article 96 that the parties undertake to respect democratic principles, the rule of law and human rights. In this context, CNARED has the right to doubt the commitment and the will of the EAC to find a solution to the Burundian crisis. For the Senior Advisor to the President, the EAC understood that Burundi is the victim of a vast campaign of fabrications and lies carried out by its detractors. For this human rights activist, the summit is disappointing by the level of participation of Heads of State: just two out of six. It was difficult to talk about the position of the community. According to him, the summit is also disappointing on its insensitivity to the suffering of the Burundian people sacrificed. For him, many reports mention the seriousness of the human rights situation in Burundi, but the summit continues to forget that the EAC Treaty defines it as a “community of peoples”. Pacifique Nininahazwe deplores the lack of courage of East African leaders to tell Pierre Nkurunziza that what he is doing is unacceptable. Doubt persists over the willingness and capacity of the EAC to resolve the Burundian crisis. The AU and UN should take the issue in hand as it remains a terrible threat to the stability of the entire region. For Amnesty International, the EAC must keep its promises to help resolve the crisis in Burundi. About the comments of President Museveni, the European Union has made recommendations to improve the human rights situation in order to be able to resume funding. Amnesty International urges the Government of Burundi to take concrete measures to protect the rights of its citizens rather than removing the legal provisions that guarantee these rights. The proposed amendments to the Code of Criminal Procedure – which would permit night searches without a warrant – are going in the wrong direction. Positive measures would include the reopening of independent media without restrictions, the abandonment of arrest warrants against human rights defenders and journalists, and cooperation with UN investigations into human rights violations. Jacques Bigirimana: “This spirit of solidarity must be strengthened”. For him, the ‘remarkable’ position of the Heads of State of the EAC testifies to a great maturity, solidarity and unity between the highest authorities of this community. “This is a clear example of the fact that this spirit of solidarity must be in place whenever a member country encounters difficulties. 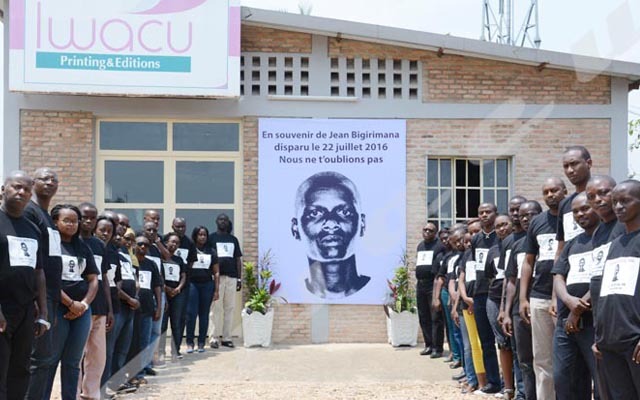 “For Jacques Bigirimana, this is a strong gesture that comes precisely at a time when some politicians and malicious minds expected other conclusions. According to the International Crisis Group analyst, Thierry Vircoulon, since 2015, the EAC and in particular the mediation entrusted to Yoweri Museveni but practically led by Benjamin Mkapa, are seen as the diplomatic solution to the Burundian crisis. The UN, EU, AU and the Burundian opposition were counting on this mediation to unblock the situation and establish a dialogue between the regime and the opposition that will help to get out of the crisis. According to this analyst, this failure has reasons for the positioning of each EAC country vis-à-vis the Burundian regime and the EU, but it also reveals that the EAC’s coherence is very poorly developed and that the divisions are numerous. For him, the management of the Burundian crisis by the EAC echoes the management of the Central African crisis by the Economic Community of Central African States (ECCAS): the regional organizations are not able to do the job and, for the moment, there is no “African solutions to African problems”. The architecture of peace and security does not work but New York, Brussels and the countries that claim to contribute to peace in Africa prefer to be indifferent.